Recycle and reuse as much as possible. I always recycle glass jars, which then can be filled up at bulk food stores. I do my weekly shop at The Source Bulk Food Stores. Attempt to avoid one-use product items, for example paper towel. These can be swapped for reusable rags. 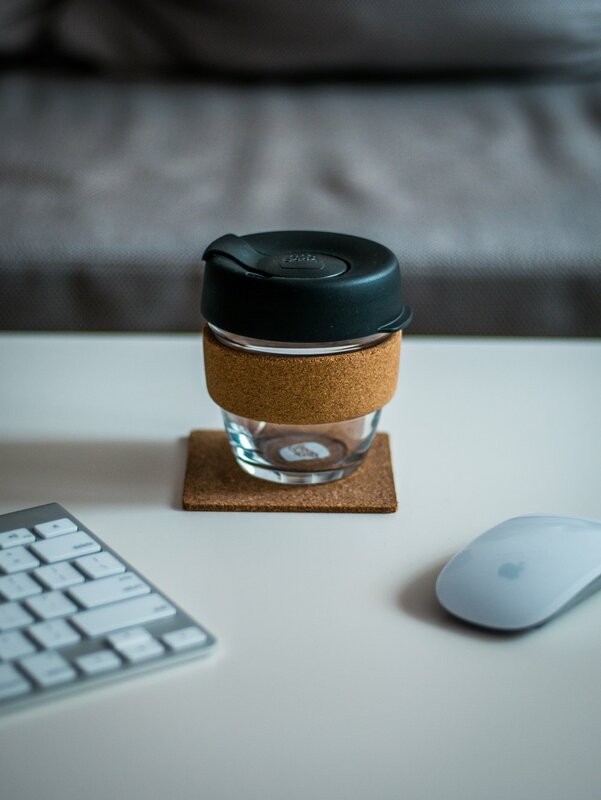 Use reusable water bottles and coffee cups such as the Keep Cup (you can even customise your own). If you can, also avoid using plastic straws and disposable utensils. Some trendy alternatives include include stainless steal straws and cutlery sets. Find alternatives to plastics such as using bees-wax wrap (or vegan alternatives) over cling wrap and compostable bamboo toothbrushes that can be composed over plastic varieties. Bring your own cloth bags and produce bags. My favourite are the Onya bags, which carry up to 2kg of produce and are made from recycled drink bottles, how cool! Avoid junk mail. Often flyers, newsletters and mail can be covered in plastic, plus it is a waste of paper! Put a ‘no junk mail’ sticker on your mail box and ask if you bills can be sent electronically, I find it easier to organise documents this way anyway. Try and eat fresh produce and avoid those goods or junk discretionary foods wrapped in excessive plastic packaging such as soft drinks, canned foods and frozen meals. Not only is this better for individual health but also the environment. When it comes to cleaning your body and home, instead of using soap dispensers and plastic shampoo bottles how about trying bars of soap and bars of shampoo. I have tried the 'Montalbano’ bar shampoo from Lush, which although did initially take a little time to get use to, smelled divine. You could also use natural fibre cloths and scrubbers or maybe even get creative by making your own beauty and cleaning products. Natural cleaning can often involve just a few ingredients such as bi-carb soda, water, vinegar and essential oils. Buy second hand or make the most of what you already have by fixing damaged or broken items such as electronics and clothing before going out and buying another.